The Progress Zone is an inclusive learning space with an aspirational vision: to secure scholarship by way of exploring depth of understanding, embedding resilience and enhancing independence for learners of the future. Accelerate the progress and attainment of individuals, facilitating them in both realising and mastering their learning potential. Immerse learners in a culture for learning built upon the highest expectations. Drive aspirations for future leaders to attend the most academically acclaimed Russell Group Universities. Provide personal enrichment and extension to enhance prospects for employability. Please see our brochure here for more information on the learning opportunities available through The Progress Zone and the extra-curricular academic provision in place through our unique learning platform. The Hamble School firmly believes in strongly encouraging our students to be positively aspirational and recognises that their potential to achieve is limitless. We have fully embraced the recent changes in curriculum and assessment as an opportunity to further stretch and challenge our students. 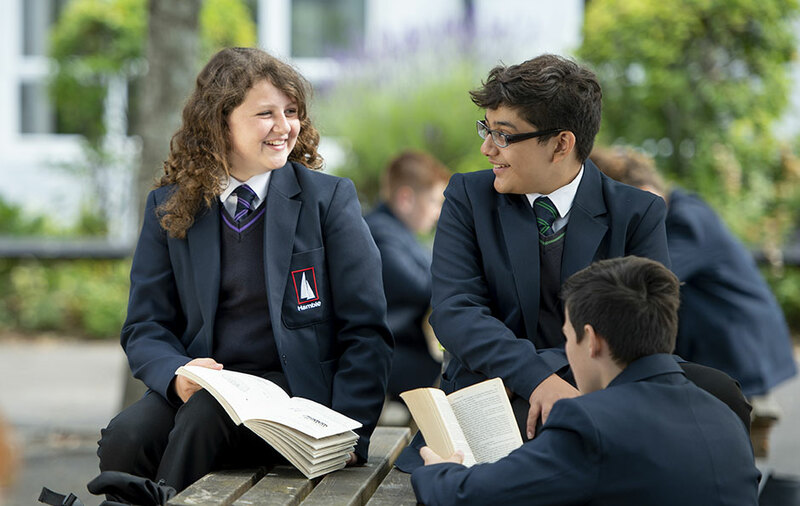 Further reinforcing our highest expectations of individual academic excellence, we issue our students with Mastery (KS3) and Hamble Factor (KS4) targets to enhance their accelerated growth. Students using The Progress Zone are immersed in a culture of academic virtuosity, inspiring students to explore their learning potential. This unique learning space offers our students the opportunities to embrace exceptional academic enrichment, whilst also empowering them in developing scholarship that will affirm their commitment to being a learner of the future. ‘Achieving Excellence Together’ encapsulates and reflects our ethos of high expectation and ambition for all our students. The High Flyers programme embodies this further, securing the brightest futures for both our most able and most skilled students by enhancing their educational development. Our High Flyers programme provides our brightest students with opportunities to excel in all aspects of their schooling, consistently challenging them in regular classroom settings, providing enrichment opportunities and, in some instances, offering accelerated learning to enable them to make consistently outstanding progress in school. It’s more than just providing students with high quality provision to exceed the highest expectations or harnessing and refining talents, it also acts to positively influence students’ futures by immersing them in the culture of higher education. For more detail on how students are identified, select the ‘High Flyers’ policy from the Featured Content across the page. At The Hamble School, we use Cognitive Abilities Tests (CATs) in Year 7 to identify their needs, and better explore how we can support them in their learning to achieve excellence. 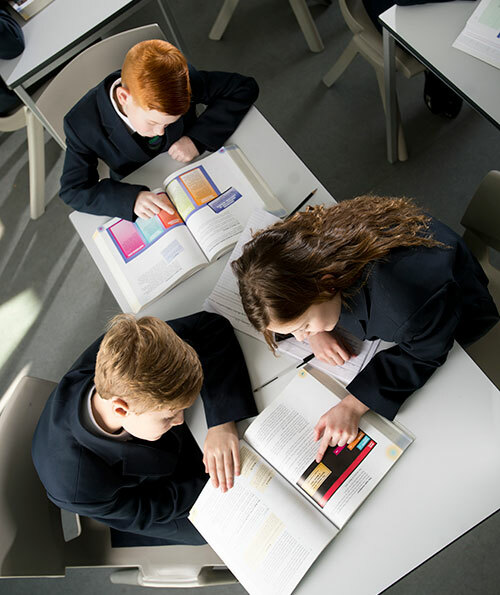 While many tests focus on a child’s attainment in the core subjects (English, Maths and Science), the tests our students complete give the school a much broader, more rounded view of your child, their potential and how they learn. The results from these tests help teachers decide the pace of learning that is right for each child, and also help to decide if additional support or increased challenge is needed. In these tests, students are assessed in their ability to think in areas that are known to make a difference to learning. These areas will involve thinking about shapes and patterns (Non-Verbal Reasoning), words (Verbal Reasoning), numbers (Quantitative Reasoning), and some questions are answered by mentally generating and transforming visual images (Spatial Awareness). 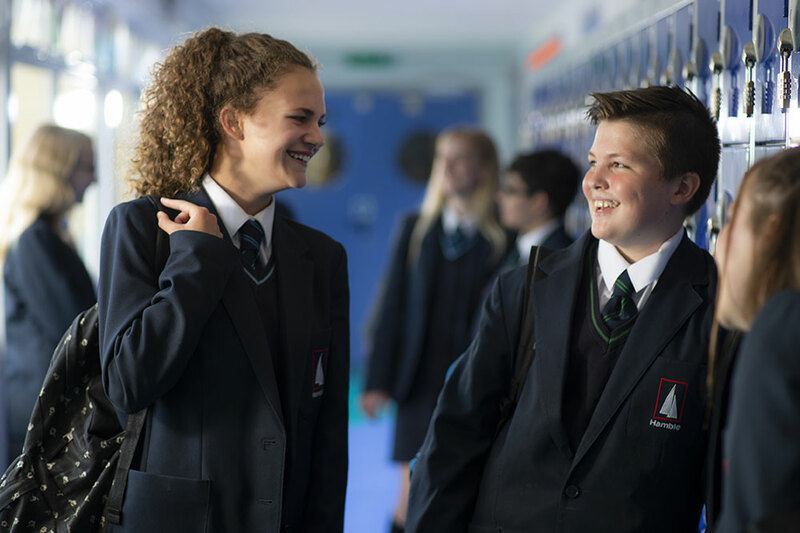 We understand that parents and carers will want to know their child’s strengths and areas for development and so individual parent reports will be made available once all tests have been completed. Within the report, information and guidance is provided on what actions can be taken to further each student’s learning. In this way, the tests can be used to reinforce school-based learning activities in the home. At The Hamble School we pride ourselves on offering our brightest students the opportunities to experience the highest levels of cognitive challenge in their learning, to accelerate their progress and to take additional qualifications in order to prepare them for applications to the top sixth form colleges and, subsequently, universities in the country. We feel strongly that an Express Stream is the ideal vehicle for students to achieve this ambition. 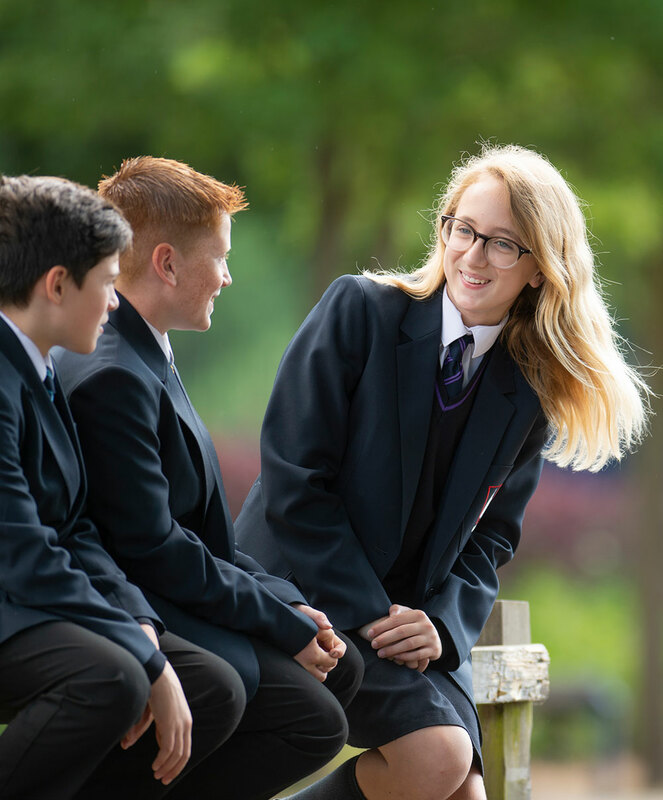 With students in the Express Stream typically aspiring to gain places at Oxford, Cambridge and other Russell Group universities, we provide a broad, rigorous and academically rich Key Stage 3 and GCSE curriculum so that all students can attend a university of their choice. Being taught with like-minded students in the Express Stream means that these students have an even more focused environment and have the opportunity for an even greater level of challenge across their subjects, often tackling extension material rather than simply moving ahead, to deepen their understanding. Excellent provision in the way of teaching, learning and assessment at The Hamble School is cementing our position in the community as a centre of learning. With the level of challenge in lessons driving the progress and attainment of our students, we offer our students a unique approach when challenging them in their thinking. This takes the form of Go Further opportunities. Go Further is built upon the approach to learning as communicated by the Department for Education. Before our students move onto new learning, we ensure that our students are rigorously challenged in applying their learning in new and exciting contexts. You might recognise this as depth of learning. At The Hamble School, we call this Mastery. 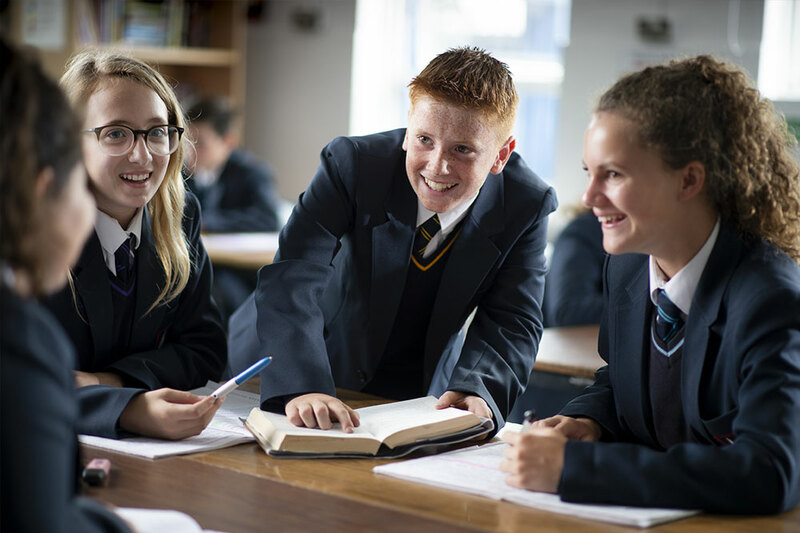 Our skilled team of teaching staff consistently stretch our students in a culture of consistent challenge, offering them opportunities to work towards securing their Hamble Factor target grades and secure excellent learning attitudes. 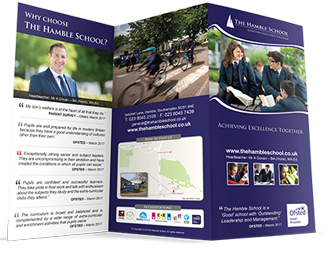 The Hamble School continues to raise the expectation of academic excellence and promote scholarship throughout all years. 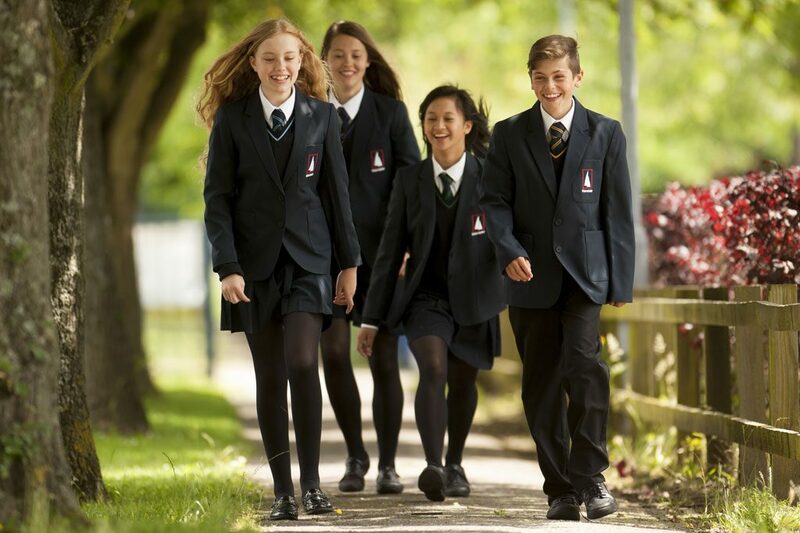 With an emphasis on students aspiring to secure their Hamble Factor target grade in Years 9, 10 and 11, we are keen to empower parents and carers with the knowledge and understanding of what to expect at each stage in their child’s learning journey. Year 11 are invited to attend three very different Raising Achievement Evenings throughout the year. The first of these takes place in September and outlines the course structure for each subject. More importantly, it provides parents and carers with information that empowers them to support their child in achieving excellence. The booklet provided at this event in September 2018 can be found here. The second evening which takes place in November has a dual focus. The first is to prepare parents, carers and students for the mock examinations that are about to be completed and how to develop effective learning skills and revision strategies. The second is to provide information on college applications and careers, including expectations, application deadlines, booking tours and making careers appointments. The final evening for Year 11 takes place in the spring term and will aim to give parents, carers and students an overview of the impact of the spring mock examinations, exploring opportunities to learn outside the classroom and further embed the growth mindset ethos grounded in developing resilient learners. Year 10 are invited to attend four very different Raising Achievement Evenings throughout the year. The first of these takes place in September and outlines the course structure for each subject. More importantly, it provides parents and carers with information that empowers them to support their child in achieving excellence. The booklet provided at this event in September 2018 can be found here. The third evening for Year 10 takes place in the spring term and will aim to give parents, carers and students an overview of the impact of the spring mock examinations, exploring opportunities to learn outside the classroom and further embed the growth mindset ethos grounded in developing resilient learners. The final evening takes place in the summer term and acts to provide information to parents, carers and students on the impact of the recent end of year exams. It also aims to show parents how to engage and support their child at home, especially with their revision and exam preparation for the following year. Year 9 are invited to attend two very different Raising Achievement Evenings during the year. The first of these takes place in September and outlines the course structure for each subject. More importantly, it provides parents and carers with information that empowers them to support their child in achieving excellence. The booklet provided at this event in September 2018 can be found here. The second, and final, evening for Year 9 takes place in the summer term and acts to provide information to parents, carers and students on the impact of the recent end of year exams. It also aims to show parents how to engage and support their child at home, especially with their revision and exam preparation for the following year.